With a few seasons under its belt, the Intox skate is here to stay. With every wakeskater in mind, the Intox was designed for the aggressive skater pulling the most tech moves imagineable, yet is stable enough for new skaters looking to progress quickly. The Intox was shaped with an extreme contoured top deck with elevated kicktails, rails and a 3-stage rocker for that true skate ollie feel on the water. 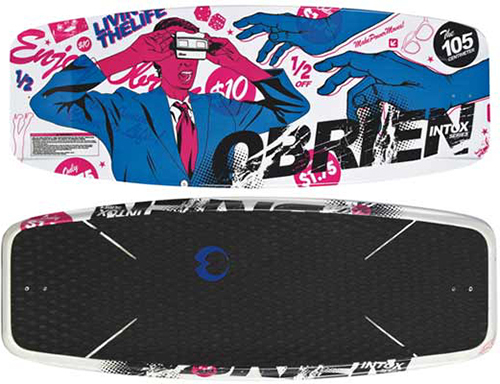 The GT4 has a Jessup Griptape top, PTEX slider base and our1.0 Puck fins for "lock-in" tricks like noseslides.